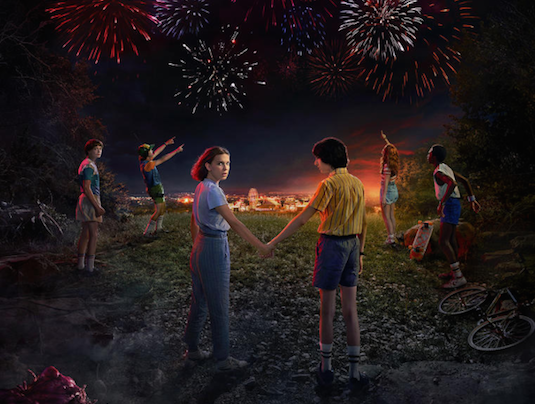 Its hard to believe its already been three years since we first met the kids of Hawkins on the Netflix series Stranger Things, and the series has become something of a cultural phenomenon since then. At has spawned career for many of its leading actors, who were only twelve when the show started production. So the trailer for season 3 which premieres this fourth of July almost feels like catching up with old friends, and an emphasize on the word old. The trailer doesn't shy away from the fact that its young leads of aged since they first showed up on screen together, and will explore that shift in adolescence with the backdrop of the usual sci-fi craziness they seem to attract. As I stated above, the trailer focuses a lot more on the evolution of characters and their relationships with each other rather than giving away much of its plot. We know Eleven (Millie Bobby Brown) and Mad Max (Sadie Sink) will blossom into a friendship, with some great scenes including a set taking place in the mall. We also get a hint that this season will focus on the theme of things changing for the group as they get older and aren't kids anymore, with Mike's (Finn Wolfhard) voiceover explaining that. This will apparently hit Will (Noah Schnapp) harder than the rest of the group as we see him holding a photo of the guys together in their Ghostbusters costumes. 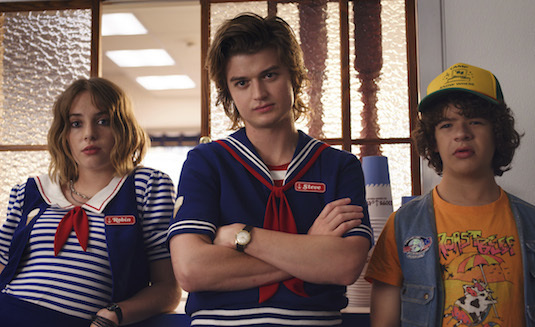 There's also of course the return of the bromance between Steve (Joe Keery) and Dustin (Gaten Matarazzo), as the former will be working at an ice cream shop at the mall we see will serve as an important setting. We also get the return of Max's brother Billy (Dacre Montgomery), who will be working as a lifeguard at the local pool and still flirting with Mike's mom. There's been some speculation that Billy could eventually turn into the creature we see later in the trailer after being possessed, but thats just fan fiction at this point. 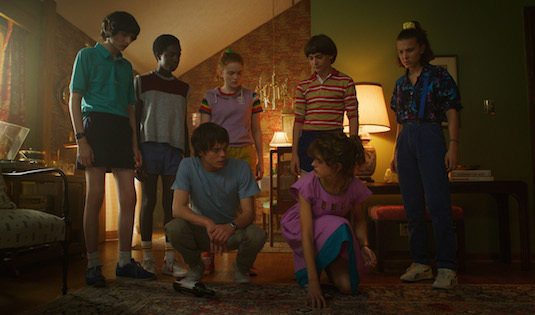 There were complaints that the second season of the show didn't do as much with the older teen characters, so seeing the involvement of Steve, Billy, Nancy (Natalie Dyer), and Jonathan (Charlie Heaton) in the trailer is exciting. Netflix hasn't been so loyal to some of their successful projects in the past such as the Marvel shows that were all canceled this past year, but it seems the Duffer Brothers are being given the freedom to fully develop their planned storyline for Stranger Things. 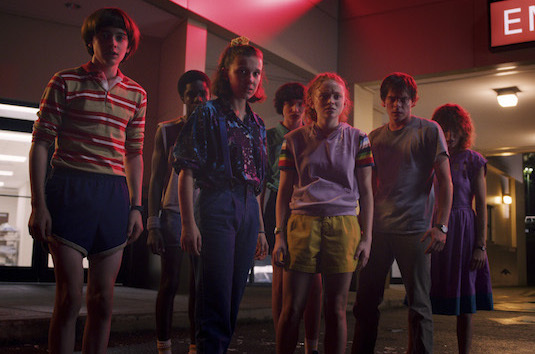 While the cast is getting older, and there's only so many times we can see the Demogorgan attack Hawkins before its too much, season 3 might not be the conclusion to the series the trailer makes it feel it is. With the trailer already gathering hype from fans, and a return to summer release date, its looking like this season may very well give the first a run for its money. So what did you think of the trailer for Season 3 of Stranger Things? What are your theories about the new monsters teased? Let us know below!